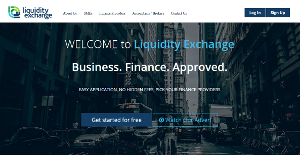 Liquidity Exchange is an online financial management platform that matches businesses with loan providers, asset finance providers and providers of other forms of credit including credit sales. The platform is first of its kind to bring businesses with suppliers for the purpose of sales and lenders for the purpose of business loans. The platform delivers flexibility, convenience and saves time during the funding process. With Liquidity Exchange, UK-based businesses enjoy access to a large network of lenders, suppliers and regain control over the financing process. Suppliers also regain control over the sales process and can trade with more confidence. Suppliers who use our platform have increased sales by up to 40%. The self-service financial analytics tools also provide businesses with real time insights into key performance drivers to deliver real competitive edge. Liquidity Exchange provides small and medium-sized businesses with relevant and insightful financial analytics to help them grow. The tool enables them find the right funding partners and also to connect with credible trade partners. Loans are an essential source of funds and if appropriately sourced, can help boost your business to reach greater heights. With Liquidity Exchange, you can find the best loan deals that won’t hurt your finances and drive your business forward. It supports automatic data transfer (time saving) and its very convenient application process makes submission very easy and efficient. You are treated to a vast selection of reliable lenders and have the option to pick the best choice for your business. Liquidity Exchange also helps with your search to find the best trade deals. Are you looking to buy or sell? Buyers get the choice of sourcing goods and services from a wide range of interested suppliers. As a seller, the system provides you with a wide range of authorized purchase orders awaiting fulfillment. Sellers’ invoices can be refinanced or insured plus there is full access to a set of automated credit control tools to help you stay on top of your credit and receivables-related tasks. What Problems Will Liquidity Exchange Solve? Liquidity Exchange helps small and medium-sized businesses overcome the two greatest barriers to growth – (1) Access to finance; and (2) Credible sales generation. With the system’s analytics, business owners can effectively take control of their financial fortunes and chart their financial goals, provided they already have an online business strategy. The software also connects them to credible sales ‘on-demand’ leads without unnecessary credit risk. There are trendy and widely used solutions in each software category. But are they essentially the best fit for your organization’s unique needs? A popular software solution may have thousands of users, but does it present what you require? For this reason, do not blindly spend on popular systems. Read at least a few Liquidity Exchange reviews and mull over the factors that you want in the software such as the fees, main tools, available integrations etc. Then, select a few systems that fit your needs. Check out the free trials of these products, read online comments, get information from the seller, and do your research meticulously. This profound groundwork is certain to assist you find the finest software platform for your company’s special requirements. How Much Does Liquidity Exchange Cost? Contact Liquidity Exchange for enterprise pricing information and other product details. To check the amount of credit your business can get, download a free DIY analytics kit to carry out a 360o assessment of your financial plan. We realize that when you make a decision to buy Accounting Software it’s important not only to see how experts evaluate it in their reviews, but also to find out if the real people and companies that buy it are actually satisfied with the product. That’s why we’ve created our behavior-based Customer Satisfaction Algorithm™ that gathers customer reviews, comments and Liquidity Exchange reviews across a wide range of social media sites. The data is then presented in an easy to digest form showing how many people had positive and negative experience with Liquidity Exchange. With that information at hand you should be equipped to make an informed buying decision that you won’t regret. What are Liquidity Exchange pricing details? What integrations are available for Liquidity Exchange? If you need more information about Liquidity Exchange or you simply have a question let us know what you need and we’ll forward your request directly to the vendor.